Dr Ishmael Ackah has taken the time to provide this excellent summary of the AMERI power deal for public education. I completely align with his thoughts. Great job! Original Deal —$510 million dollars (102 million dollars per year for 5 years). –$ 171 million has been paid. 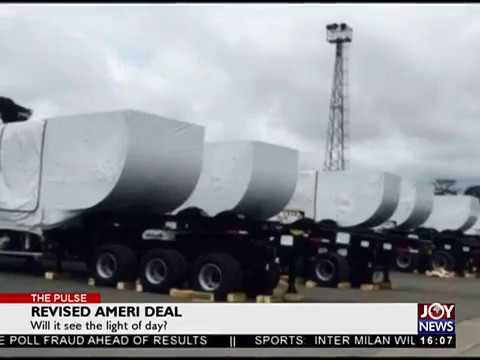 As at July 31st, 2018, we owed Ameri $91 million. —We need to pay $255 million for the next two ad half years. When we add the $255 to $91 million, the total liability is about $346 million. 3. Renegotiation became necessary because of issues raised in point 1. -Private sector is the best to manage a thermal plant. 1.Continue the existing agreement and renegotiate for a subsidiary agreement to pay the debt after the current deal expires with minimal interest. 3. Get a private sector organization through competitive bidding/competition to pay off AMERI and restructure the current agreement into an agreed number of years…. 6. What has been done…..
—Government selected OPTION 3. However, instead of selecting the private company through competition, It was done through SOLE SOURCING. Something that was an abomination few years ago. 3. In exchange, we will pay the company $75 million per annum for 15 years. 4. In the previous deal, the cost was shared between government, VRA and ECG—–In the current one, VRA will bear the entire cost. Remember, VRA has not made profit since 2013. It owed Ghana gas more than $434 million as at December, 2016. It owes other entities………..
1. Government has reduced its financial commitment to AMERI for the next two half years—the excess $27 million per annum can be invested in Free SHS. 1. The current deal is 45% percent more expensive than the existing deal. 2. By using sole sourcing, government has deprived Ghanians of a better deal –may be a tariff of less than 10 cents/kwh after the deal ends That is, we could have obtained a better deal through competitive bidding post-the 5 year term or VRA could have managed it/or through a new the proposed thermal power subsidiary. So Ghanaians will still pay for power produce from the plant after 5 years, it may have been less and will not also put VRA in financial danger/…taking us from 15 years compulsory power purchase/pay (even if we don’t take-we will still pay)—even when less expensive, more efficient plants are available. 3. VRA has estimated that, AMERI’s utilization rate will be less than 20% from 2023. So from 2025, because there would be more efficient plants and excess capacity of more than 3000 MW , we would be paying $75 million for AMERI to do almost nothing. 4. Since VRA is already in financial crises, they may not be able to honour the $75 million per annum from 2021—-that means, we may need to get a new private investor to pay the debt—and extend the contract by another 50 years. 9. After the final whistle, the technology has not changed, the cost has increased, and the time/period/ has increased…..the tariff has reduced (but relative to what figure after 2020?) and reduced commitments——————–I will share the financial analysis soon.